With thoughtful design, even a relic of 1980’s office design can move with the times. 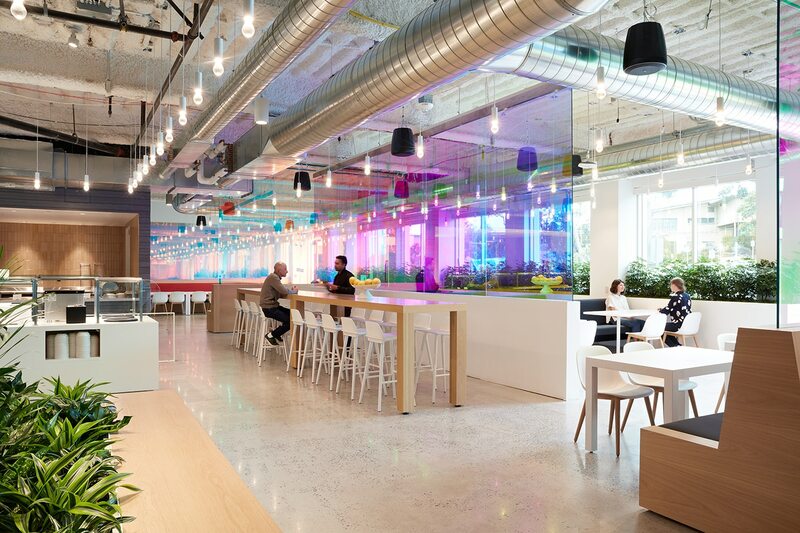 The 1980’s office building seemed an unlikely fit for the fast-growing digital media pioneer. 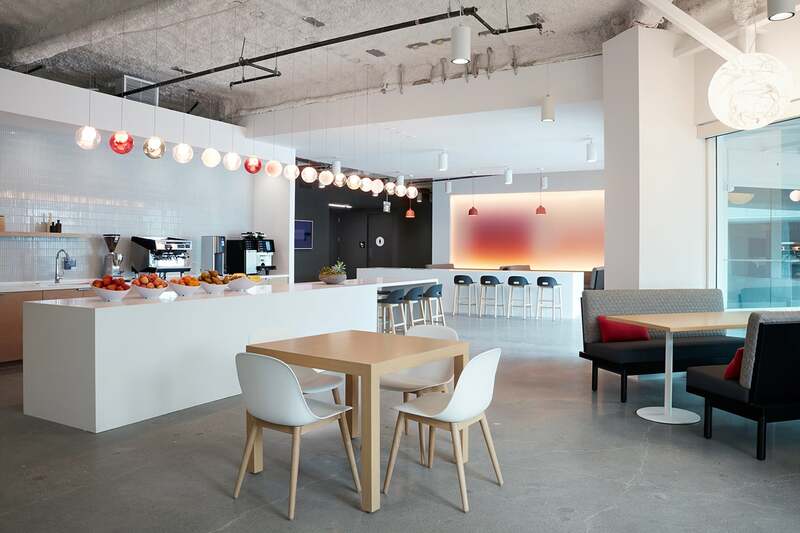 Working together, Jensen and the client team developed strategic interventions and carefully considered program organization to overcome the three-story building’s closed-off design and establish a dynamic hub for the company’s expanding campus. 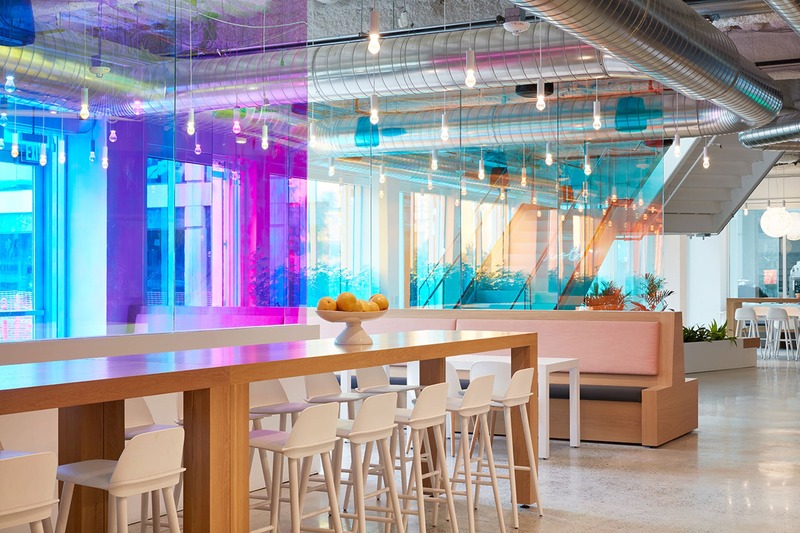 Illuminated panels of subtly shifting color and varied work spaces reinforce the energy and creativity of the company’s culture. The existing atrium, once a lifeless portal, is now an animated crossroads. New stairs and a bridge inserted into the three-story-high volume draw people through the building. Gone are the walls and doors that once sequestered the office floors. 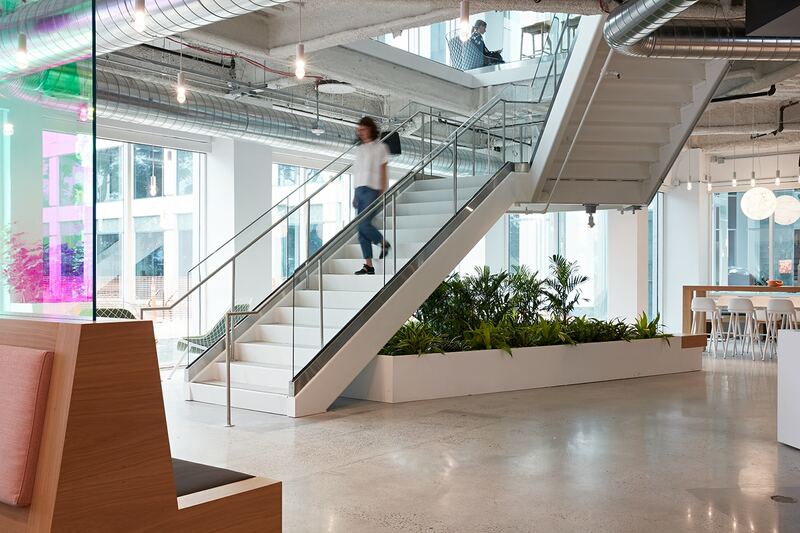 Instead, the circulation opens to social areas where people can grab a snack, run into colleagues, or hold impromptu meetings. Enclosed meeting room spaces act as an acoustic buffer for the open work spaces beyond, allowing for focused heads-down work. The building’s main gathering places – a 9,500-square-foot cafe, lounge areas, meeting rooms and other amenities – flow through the ground level, drawing people together from around the campus. Lounge areas allow views through the building, connecting the indoors with the surrounding grounds. 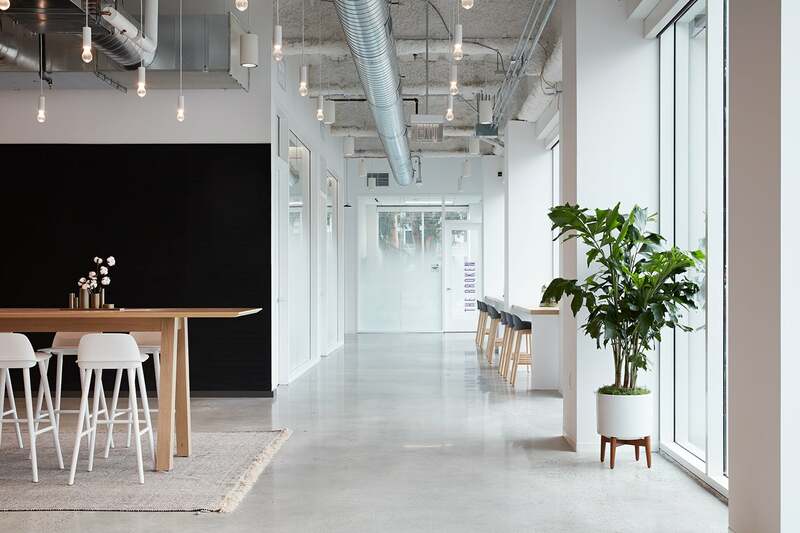 Jensen studied many seating typologies, from quiet nooks to collaborative project rooms, before composing a variety of work settings to best serve user needs. 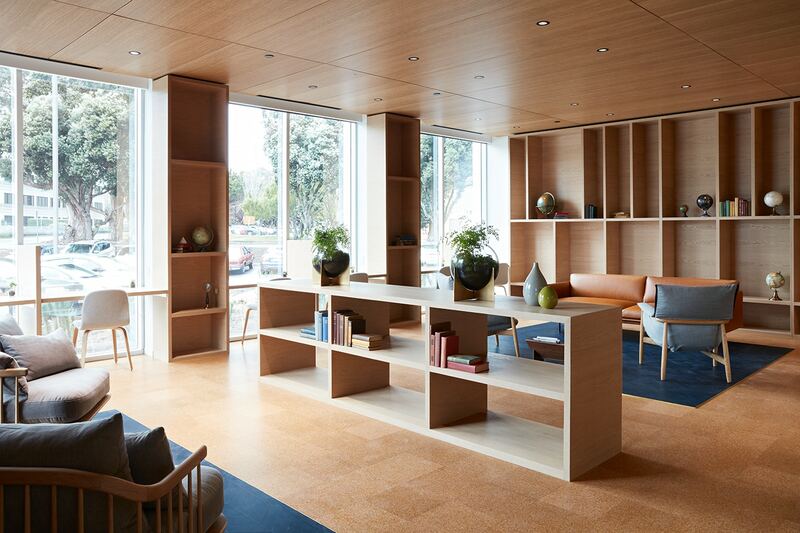 Design elements and materials inspired by the company’s culture establish a dynamism throughout the space. 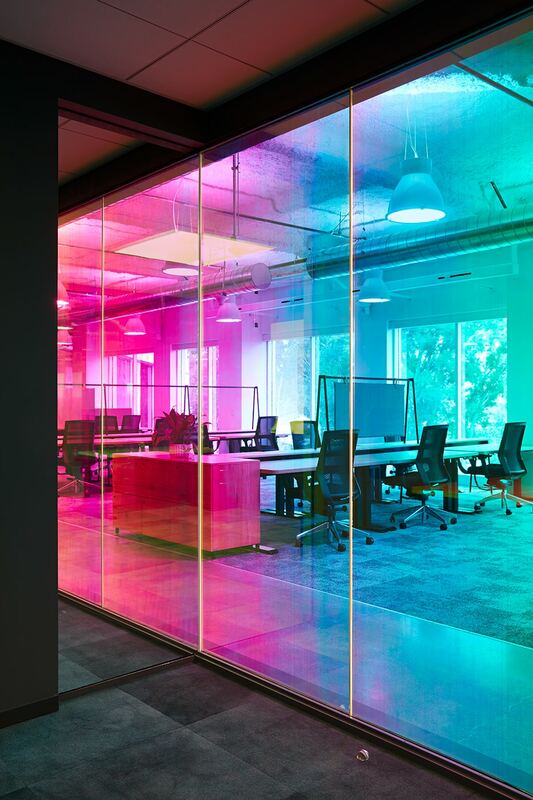 Moving color is achieved with dichroic film on glass, as well as strategic use of colored materials. 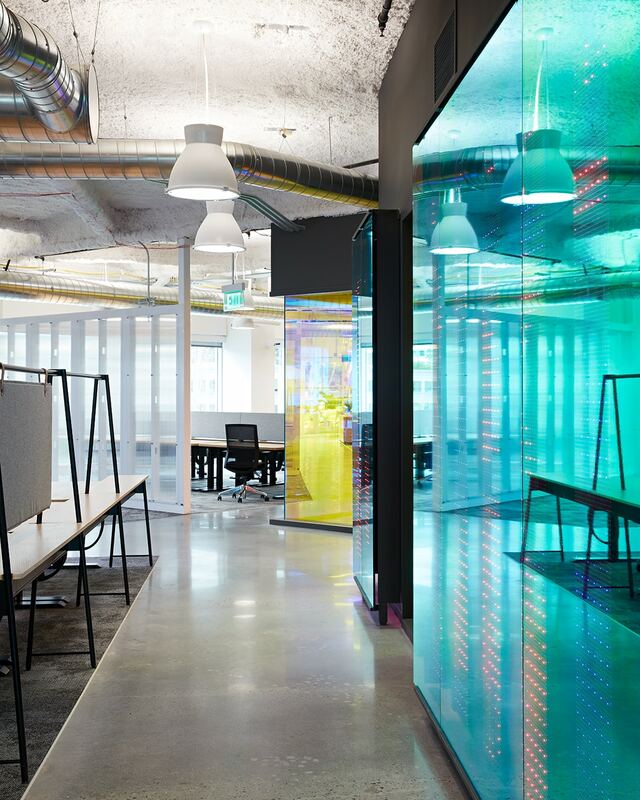 In collaboration with Office of Things, animated digital LED installations add color and movement to the space. The play of abstracted moving images with color-shifting glass is made more active or ethereal to suit the surrounding mood. Murals and other color interventions imbue each floor with a subtly unique character.